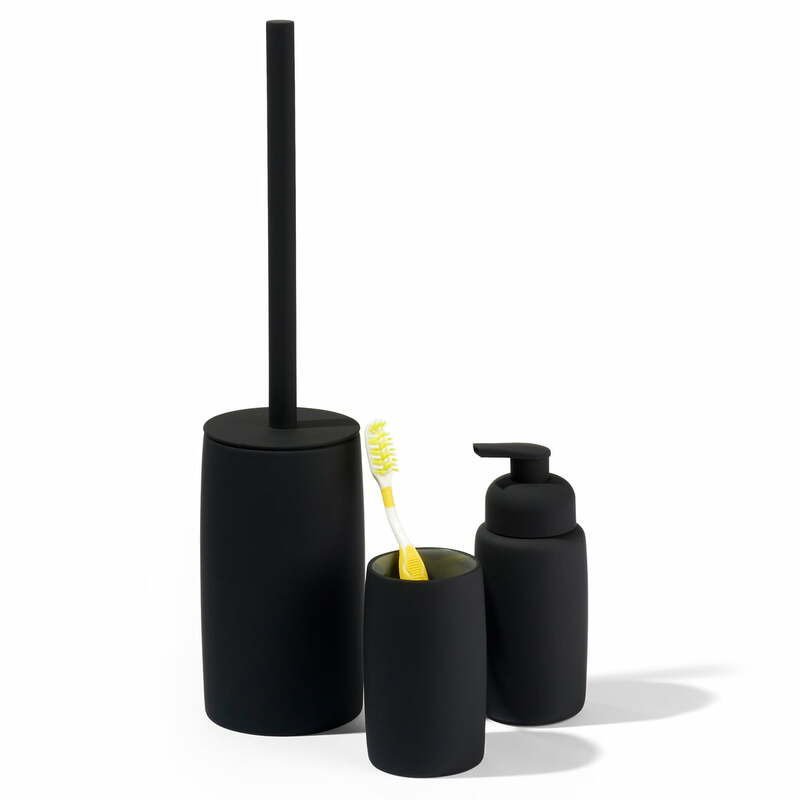 The Mono toothbrush tumbler by Södahl is part of the eponymous collection, which looks especially modern with a matte, monochromatic outside. Coming in different colours the cups can be combined with matching soap dispensers, toilet brush and bathroom bin. 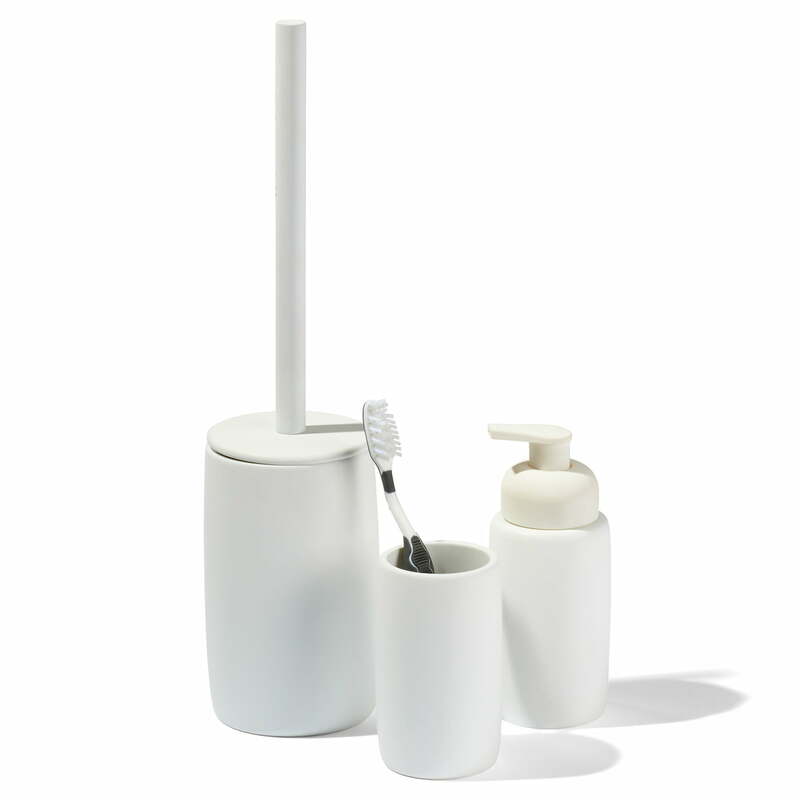 The toothbrush holder is made of porcelain and then covered with a matt rubber lining in various colours. Inside the mug is glazed and looks elegant and timeless, this way. On request, the tumbler of the Mono collection is also available in other colours. Individual image of the Mono Toothbrush holder by the manufacturer Södahl in grey. 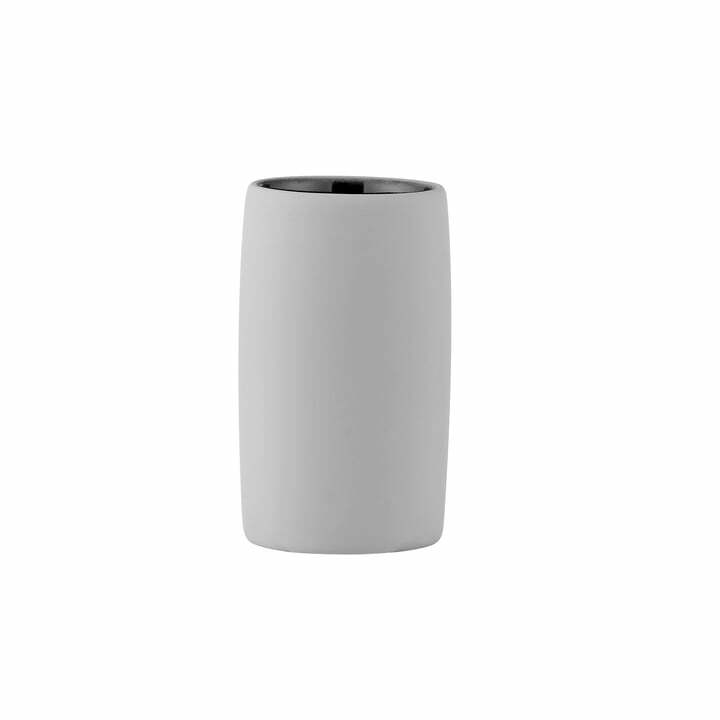 The tumbler is made of porcelain and has a matte rubber coating in grey.